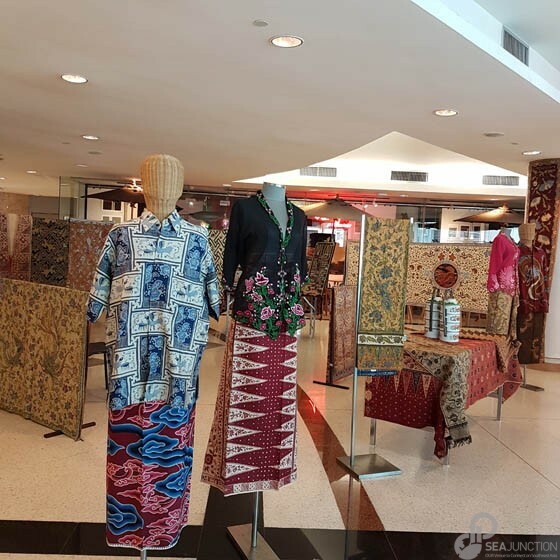 In 2009 batik — cloths made using a technique of wax-resist dyeing— was selected for the World Cultural Intangible Heritage list of UNESCO. 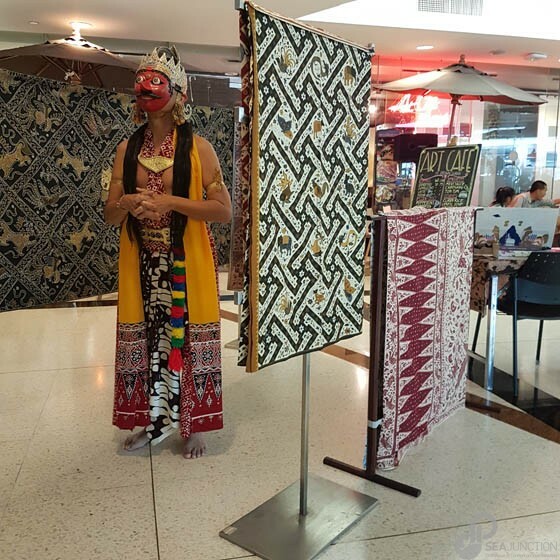 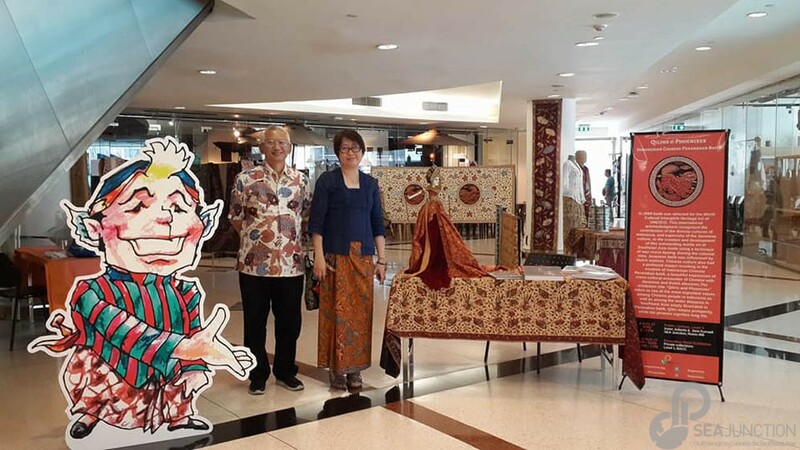 This international acknowledgment recognized the contribution of the diverse cultures of Indonesia, and especially of Javanese culture, to the development and sophistication of this outstanding textile art of Southeast Asia. 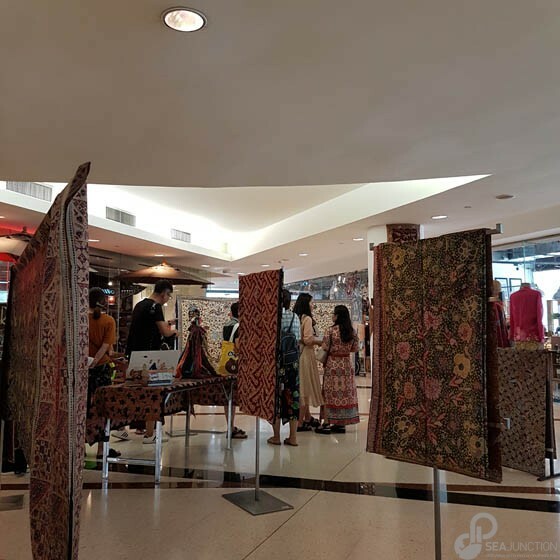 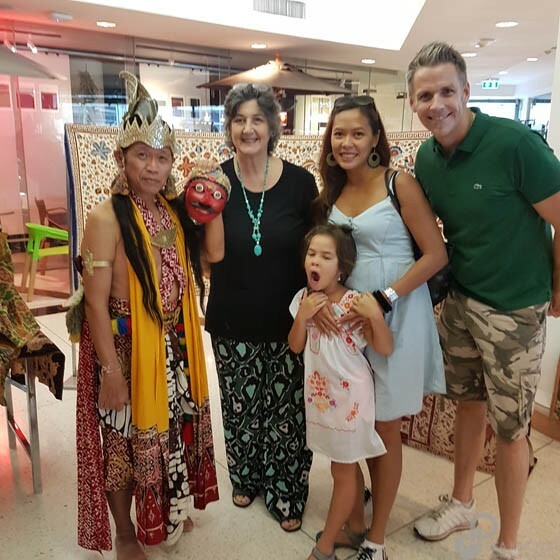 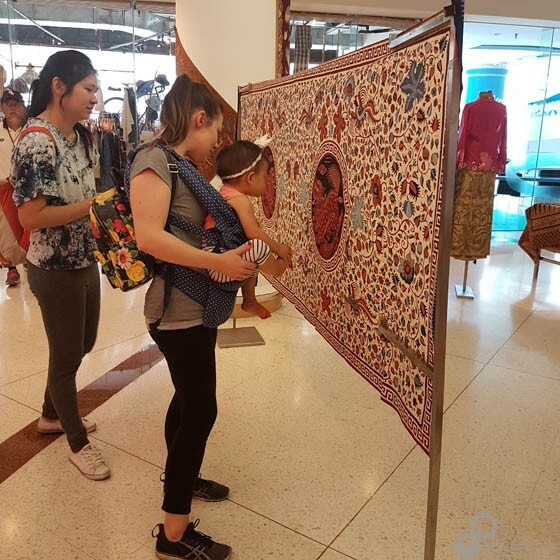 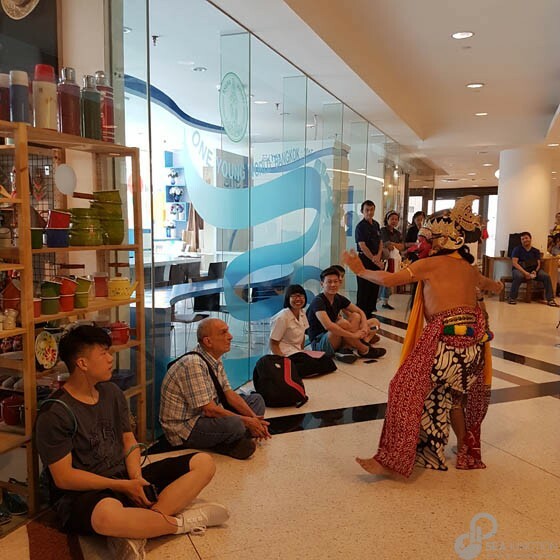 The peranakan tradition, with its intermingling of Chinese, Dutch and Javanese motifs continues to these days as were highlighted at SEA Junction on 4-6 August. 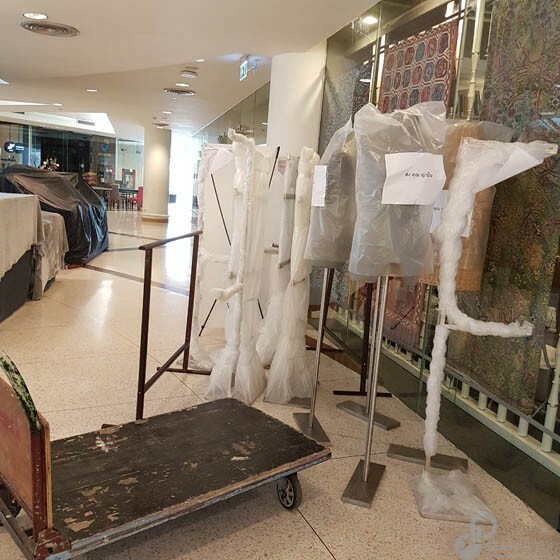 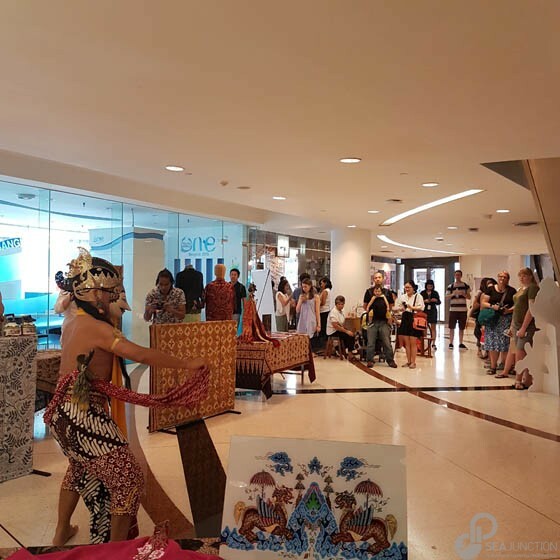 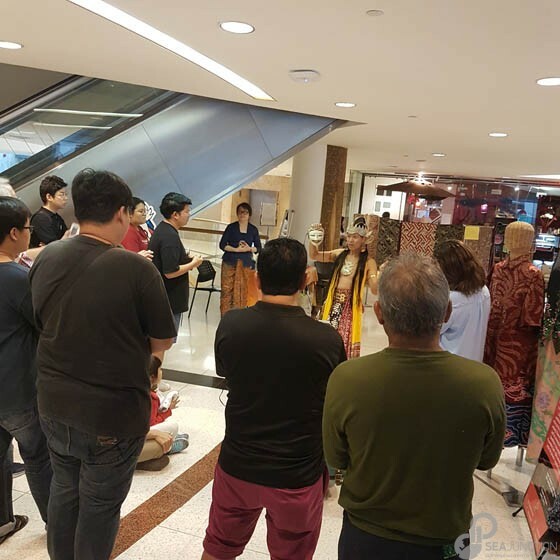 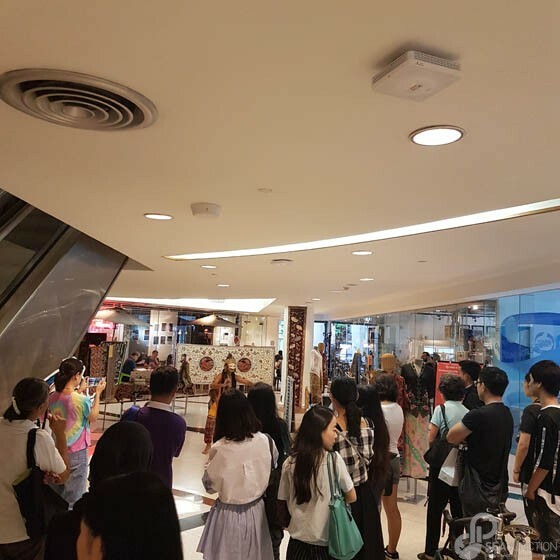 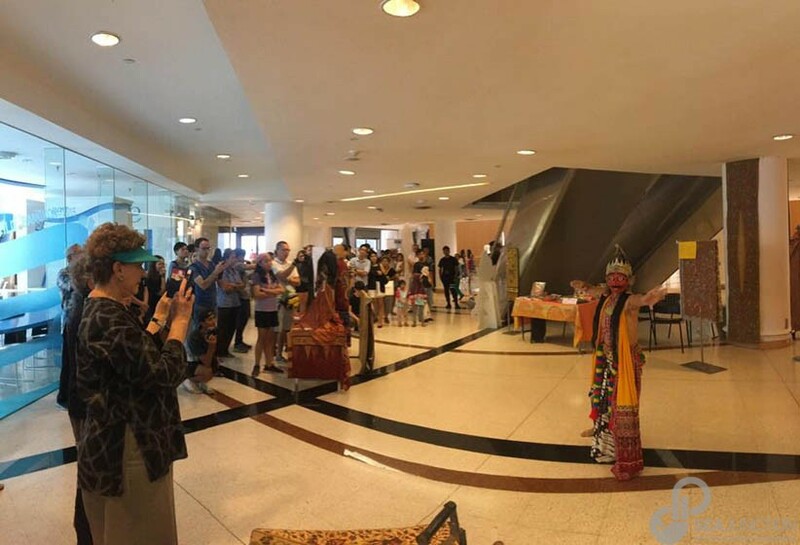 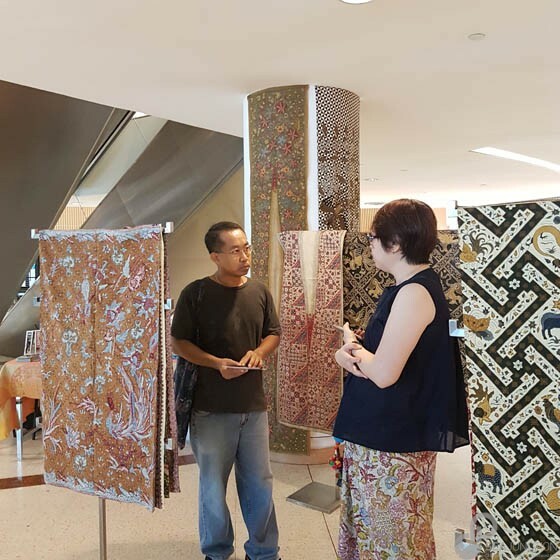 The event consisted of a talk by two collectors and textile experts, Irwan Julianto and Jane Kurnadi (see below for their bios) on Indonesian Chinese Peranakan batik on 4 August at SEA Junction venue, 4th floor BACC, and an exhibition with a small example of their collection over the 3 days period in the main hall of BACC (in front of Art Cafe). 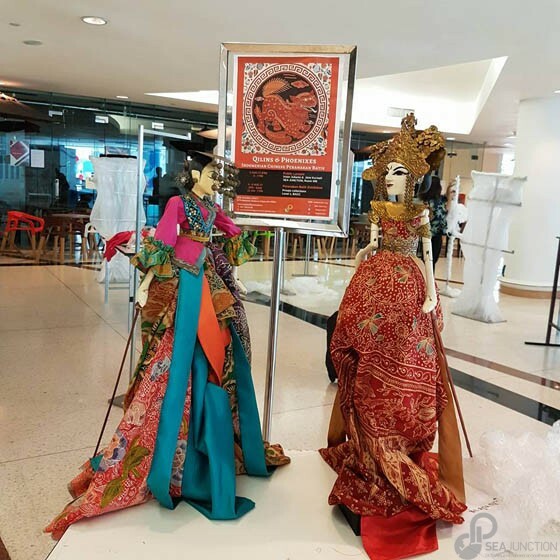 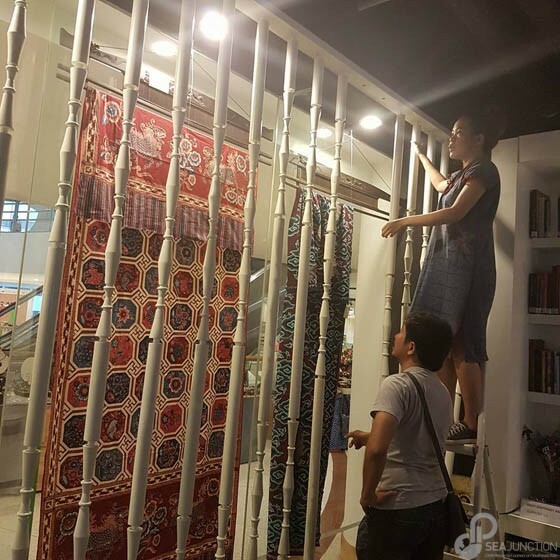 This exhibition is titled “Qilins and Phoenixes” to refer to the two most important values among Chinese people in Indonesia as well as the wider diaspora in Southeast Asia amply illustrated in Peranakan batik. 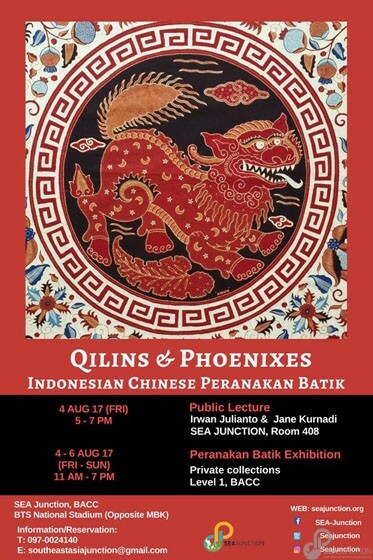 Qilin means prosperity, while the phoenix signifies long life. 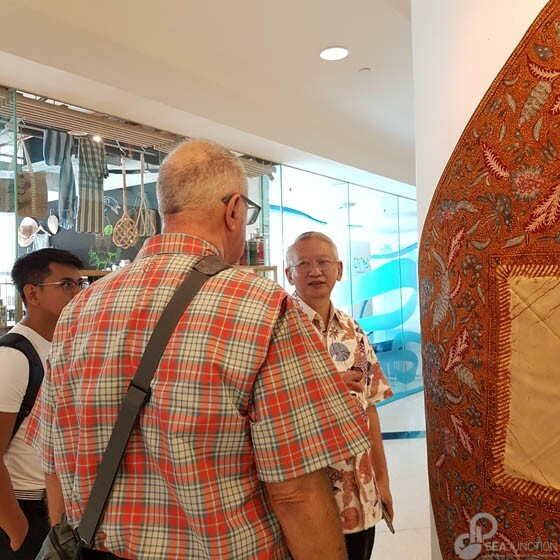 Together the talk and the exhibition will provide a glimpse of Indonesian Chinese Peranakan batik as a centennial cultural journey. 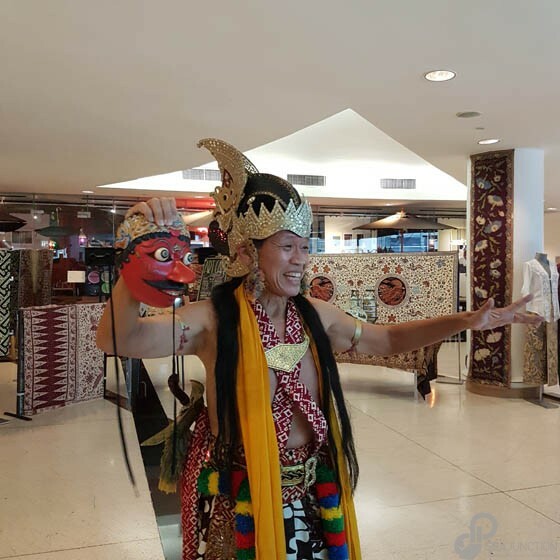 –Irwan Julianto, a senior journalist who worked for Kompas Daily (1981-2013). 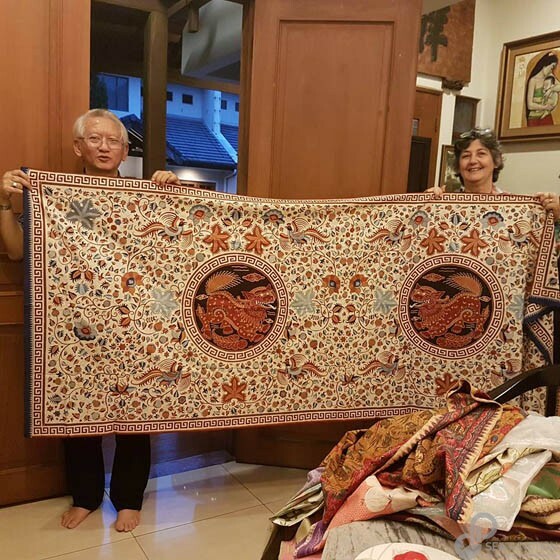 A textile enthusiast and collector, member of the Indonesian Society of Textile (Perkumpulan Wastra Indonesia). 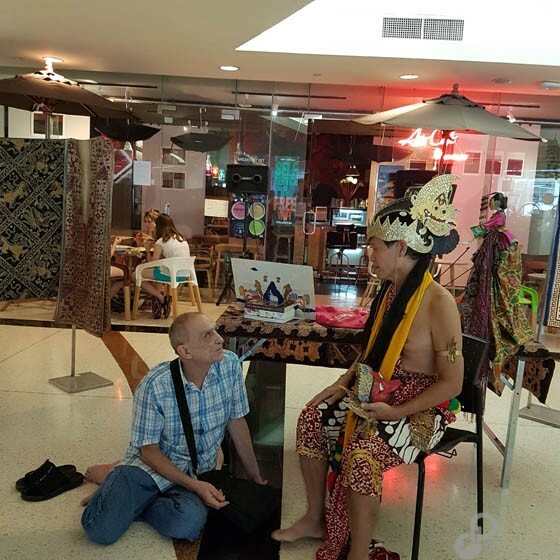 The founder of the Indonesian Cross-Cultural and the lecturer of Multimedia Nusantara University owned by Kompas group. 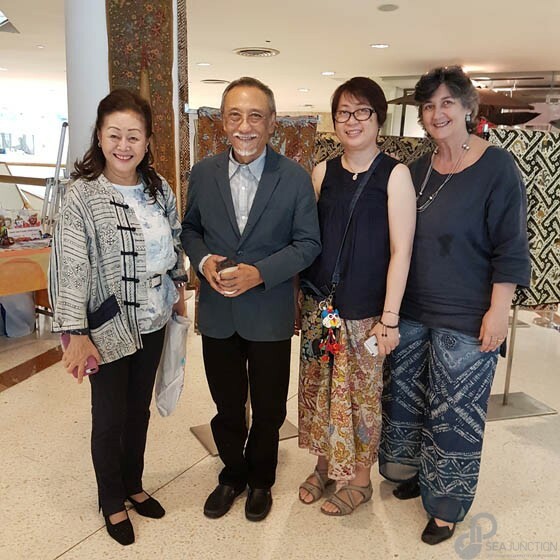 –Jane Kurnadi, a prominent designer and quilter. 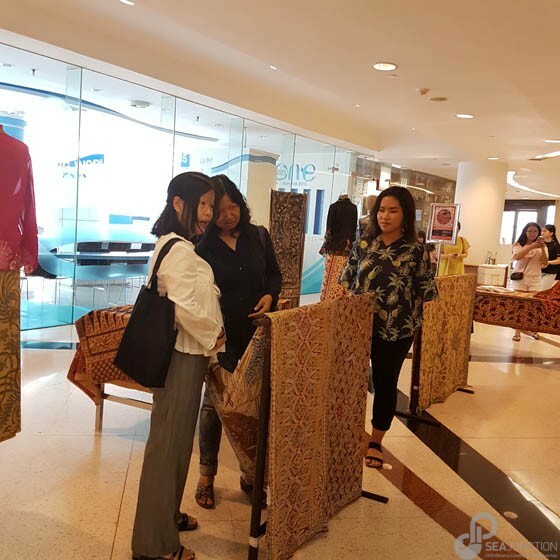 Graduated from School of Visual Art and Design, Bandung Institute of Technology (1995) and Master of Industrial Design Human Factor, Design Academy Eindhoven, AIVE (1997). 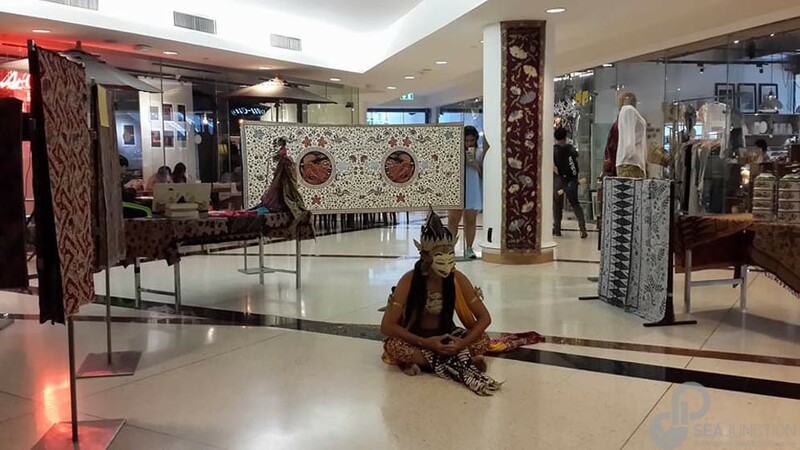 Founder and owner of Perca.